When you hear the word cryptocurrency or blockchain, the first thing that comes to mind is Bitcoin. While Bitcoins is one of the major digital currencies, the technology of blockchain has gone a long way beyond currencies to applications that were assumed to be impossible back in time. Currency is just one of the plethora of uses of the blockchain. Until recent times, application building in blockchain required many resources and a robust coding, mathematics, and cryptography background. Previously, activities such as keeping a digital record of assets, electronic voting, trading, etc. are being developed at a rapid pace and their deployment is easier. Thanks to Ethereum, the developers nowadays face no shortage of tools for building decentralized applications. Just like Bitcoin, Ethereum is a distributed blockchain network although the two differ significantly regarding purposes and capabilities. Ethereum concentrates on the proper running of the programming code of applications that are decentralised. No trading action can be performed without attempting a breakthrough or a breakout. At present, $100, $150 and $50 are the demand zones and $500, $400 and $450 are the supply zones for Ethereum. If you consider the outlook for a medium term, Ethereum trading is happening in range. The bearish pressure is on the rise. The supply area for short-term trading is in the demand area. The currency has faced a significant fall in recent months. The bearish market was responsible for the fall in price. Although experts say that the main reason behind such a sharp fall was the quantity of the initial coin offerings that the Ethereum blockchain hosted last year. The Ethereum price today is $133.34. You can refer to the Ethereum price chart for a detailed analysis. Being a fast growing digital currency, Ethereum has gained new heights with excellent consistency. Thus, making it one of the long-term investment bets for top investors. Buying the currency is easy today as compared to earlier. 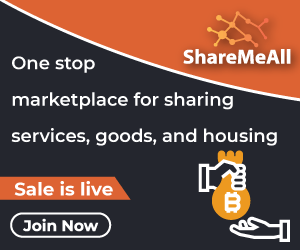 To buy it, all investors need to do is sign up on different exchanges. You can also exchange other cryptocurrencies to purchase Ethereum. Moreover, ICO’s that are launched on the platform adds to the fueling demand. The current market trend of Ethereum is revolving around the estimation that how high the prices can go. Whenever a currency becomes mainstream, hikes are probable, yet there is no surety. Although once it crosses the $1 k mark, the probability increases to a great extent. Just like every other currency, it is likely to witness occasional downfall. But if the trend remains, there will be no difficulty in climbing higher to hit the massive numbers. In the current scenario, investing in technology and not the currency can be considered a wise move. After looking into the usability of this cryptocurrency as well as its applications, the picture will be quite clear. Bandwidth and the decentralized processing power are some of the biggest perks. This creates a major difference between other tokens and Ethereum and indicates that the value of Ethereum is far more likely to rise in future. One of the main reasons why the platform is getting immense recognition is because the utilisation is at an intermediate level and this is just the beginning. It is a sure thing that utilisation will increase by leaps and bounds in the years to come. According to many predictions made online, the value is estimated to rise to $ 5500. This is one of the main reasons why so many investors are trying their hands on the technology. The co-founder of Ethereum, Vitalik Buterin was so fascinated by bitcoin, he started to imagine a platform that went beyond the limitations of Bitcoin. He was a programmer in 2011, and at the age of 17 years old, his mind started revolving around introducing something that could overcome Bitcoin’s commercial use cases. He wrote a white paper and submitted it in 2013, describing what was about to become Ethereum. The difference was that this new platform had the potential to trade more than just currency. By selling the Ethereum tokens in a crowdsourcing campaign, the co-founders raised $18 million and became successful in getting their vision off the ground. When Ethereum was first launched in 2015, the live release was known as Frontier. Since that time, the platform has witnessed large increment and has been seeing an almost steady rise ever since. One of the significant issues with bitcoin was its compromised scalability, and that is precisely what Ethereum targets. Although, in 2016 there were several security concerns raised about the platform when an anonymous hacker stole $50 million. This is what made the community split into two separate bodies, Ethereum, and the Ethereum Classic. Even though the tremendous growth is a point of attraction for a majority of investors, some others are still hesitant due to the enhanced volatility factor. There are different ways in which investors handle volatility. It is a risk that has to be considered and sought out carefully before one starts to straightaway dive into the Ethereum investment game. A test network released the hard fork code and it was set for a release in November. But after several bugs were encountered, the release has been postponed. There are many reasons behind such a massive success of this newly launched platform. On that note, let us take a look at some of the success pointers of Ethereum that makes it a viable option for investors to bet on. No authority determines the future of the network or processes the transaction. The best thing about the platform is that it is open and decentralized just like Bitcoin, based on the technology of blockchain. The DAO (decentralized autonomous organization) resides on the blockchain of Ethereum. It does not consist of any physical address or individuals with pre-decided formal roles. The worst thing about entering into contracts in the legal world is the tedious process. Be it the private sector or the public sector, the involvement of a third party such as a judge or a lawyer makes the entire process complicated. But unlike this, the Ethereum platform is, and no person, organisation or even a country can possess it. Decentralized Autonomous Corporation (DAC) is used by the network to execute smart contracts. Everything operates without the need of a chief executive officer, board of directors, and a conventional structure unlike almost all the other organisations in the world. When parties have to create an agreement on a blockchain platform, it is necessary to execute a contract. Smart contracts are a way to facilitate the binding of two parties with some terms and conditions without hassles. The process does not involve the supervision of a third party, neither does it requires a level of trust between both the parties. The ability to efficiently execute smart contracts is what makes Ethereum different from the rest of the cryptocurrencies out there. Two parties who do not trust each other, or for that matter, know each other can create a contract. The network can then execute the deal in a way that no party is in a position to deceive the other party. Although how both the parties feel about the agreement after they have entered into it is not the responsibility of the network as it will execute it on its own accord. The developers can write their own programs, thanks to Ethereum’s scripting language that comprises a massive number of scripts. The language supports a wide range of computational instructions and allows developers to act as autonomous agents. These are some functions that make smart contracts quite beneficial for all the parties involved. The accounts are multi-signature. Only when a certain required amount of people agree, the funds can be spent. The platform manages the user agreements. It provides other contracts with utility. Store data about the applications such as membership records and information about domain registrations. Since there is no need for supervision by a third-party, the fees charged by Ethereum is relatively lower. Conventionally, there is a requirement of office space and some contract between the employer and the employees. In the case of Ethereum, the network structure and the way the entire platform operates are sufficient to prove that the contract will go through. Even though the need to be fully aware what the parties are entering into is not entirely taken away, the platform does eliminate the lack of legal parties such as the lawyers and the judge as far as the operation is concerned. Although if there are any loopholes in the agreement, you can always consult an attorney for some clearance on the matter. New digital assets are now on the rise. ICO is a tool required for raising funds for trading future cryptocoins for an immediate liquidation in exchange. It allows for quick verification and hassle-free modifications of the states required for ICO execution with the help of the Merkle Patricia Tree. With the help of crypto kitties, the players can purchase”crypto-pets” on the Ethereum network. This enhances the accessibility of blockchain technology. Just like everything else in this world, Ethereum is not perfect. Let us take a look at some of the failure pointers of Ethereum that one has to be aware of before investing. Although this is the case with all cryptocurrencies, the value of Ether is directly dependant on the scores of Ethereum. If some other similar platform replaces it in future, the cost can substantially decline. If there is any discrepancy whatsoever in writing the code, there is no other way to recover other than rewriting the code. Even if someone breaks into the coding scheme, the issue can’ be resolved without rewriting the code. Considering that Ethereum is a new technology, plenty of specific documentation is required to make people aware of the benefits and make users and investors understand how it works. The lack of documentation in the case of Ethereum makes this a major con as most of the information that has been uploaded online after the launch of the platform online is not updated. Moreover, it doesn’t even cover the basics on which the platform is based. One of the major hurdles of Ethereum is the lack of scalability. Whereas a Visa can generate about 45,000 transactions in one second, in the case of Ethereum, the number is as low as 15 tps. Building a blockchain where it is not mandatory for every node to process all operations. Ethereum fork or a hard fork is a change in the code designed to retrieve funds that were stolen. The original owners were enabled to withdraw their tokens and the stolen funds were moved to a smart contract. Although this is where the majority of complications occur. In the blockchain technology, the transactions are meant to be irreversible. But when a hard fork was executed, the entire code was modified. Ethereum presented a technology that goes against the basic concept of the blockchain. The best thing about blockchain is that it is secure, unchangeable, resistant to any kind of tampering. But if a massive sum is involved and the technology is change like this, blockchain will gradually lose its value. In order to improve the situation, another method put forth in order to retrieve the stolen funds of the investors was the introduction of a soft-fork solution that was less aggressive. Despite this measure, the position of the founders and the community remained somewhat unstable. If they didn’t recover the investors’ money, then the entire faith on which the platform rests will be shattered. On the other hand, recovering the funds meant performing actions that were against the core policies on which the decentralization was carried out. $ 2500 is the value around which Ethereum is expected to reach by the end of 2018. For 2019 and 2020, the numbers are $ 14,000 and $ 31,000 respectively. As far as the returns are concerned the technology still has a long way to go. According to the predictions, the future of Ethereum looks promising. Thus, if you have an eye on the predictions in the area of cryptocurrencies, Ethereum is certainly one of the most viable options. However, the sharp increment in the prices in the past few months can also lead to an unexpected decline. Although this should not come as a major surprise as a downfall after a major rise is a common phenomenon. Along with the thrill, Ethereum carries a distinct apprehension of investors. Just within 15 months, trade went up from $100 to $1200. This has raised a doubt in the minds of investors whether the currency is in the bubble territory. Whether the currency has proper fundamentals that are required for meeting the rise in price is of significant concern. The demand-supply equation regulates the costs of the assets. It is also essential to look closely into the underlying application instead of superficially monitoring the asset demand. But investors are not in a position to judge Ethereum as a for-profit company as it is not one, unlike most of its counterparts. Thus, if you are thinking about investing, consider the long-term alternative. Numerous companies are looking forward to what the currency has to offer in the future. For the long term, the focus is likely to shift from the currency itself, and the utilisation of the underlying application will be increased. Once the availability of proper end applications is confirmed, the utilisation will automatically increase. As we can see, more and more companies are launching their s which will increase in future to a great extent and so will the value. The blockchain technology can be a tad bit overwhelming for the common man but once you realize what it has to offer, it is easy to get addicted. It is easy to act upon predictions, although they should not be the sole criteria of your investments. If you take a look at bitcoin, it reached the estimated value in less than ten years. Thus, if we take Ethereum into account the same way, it might take a substantial amount of time, but the rise will be faster than some other technologies. Despite being new, the platform is full of many potentials. The ability of the platform to reform measures is what makes it unique and subject to immense progress in the future.